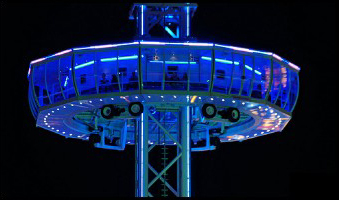 Skyliner and Ice Magic – discover another side to Brussels! From 20 December 2012 to 9 February 2013, locals and visitors to the Place des Palais in Brussels will be able to discover the capital of Europe and its famous cartoon characters from a totally new angle. 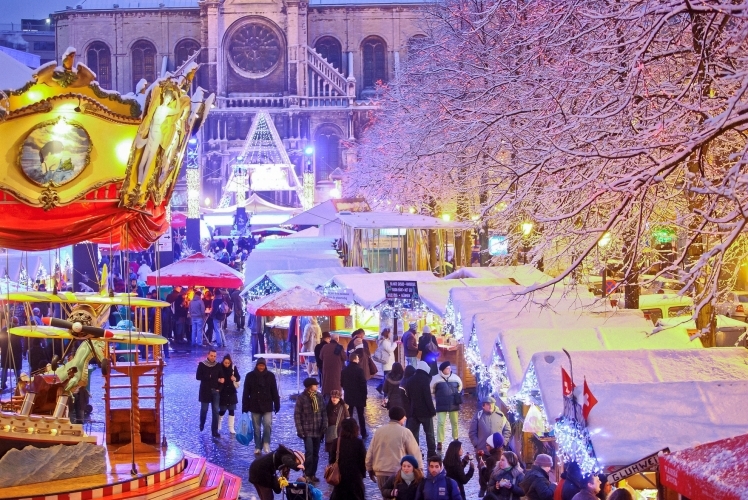 With this event, VISITBRUSSELS will be shrouding the old town in all the magic of winter. The Brussels Skyliner will take visitors up 70m to give them a unique view of the city. In Ice Magic, they will have the chance to see our famous cartoon heroes carved in ice. The Brussels Skyliner is a steel tower 85m tall, with an enclosed platform that takes 60 people up to a height of 70m. When the skies are clear, this experience gives you a 360˚ view stretching for 12km. A recorded guide will fill you in on the main monuments that passengers will be able to see during the experience, which lasts for 5, 7 or 9 minutes. After enjoying tremendous success in Paris, Ice Magic will be visiting Brussels for the festive season. Ice Magic Brussels is an exhibition of ice sculptures 6m tall, inspired by the wonderful world of cartoons, set against a backdrop of Brussels’ monuments. The sculptures are on display in a heat-insulated area spread over 1,000m², where the temperature is kept at -6°C. Ice Magic is an international festival showcasing 23 sculptors from around the world, including Belgium, Canada, France, Germany, South Korea, Poland, Finland, Italy, Lithuania, Austria and the Czech Republic.